GLADIATORS READY!! Can you stay in the center of the ring without getting knocked off? 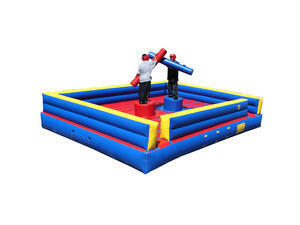 The Joust Arena, AKA Gladiator Arena, or jousting arena, is an excellent challenging game. Items include 2 helmets and 2 joust poles.